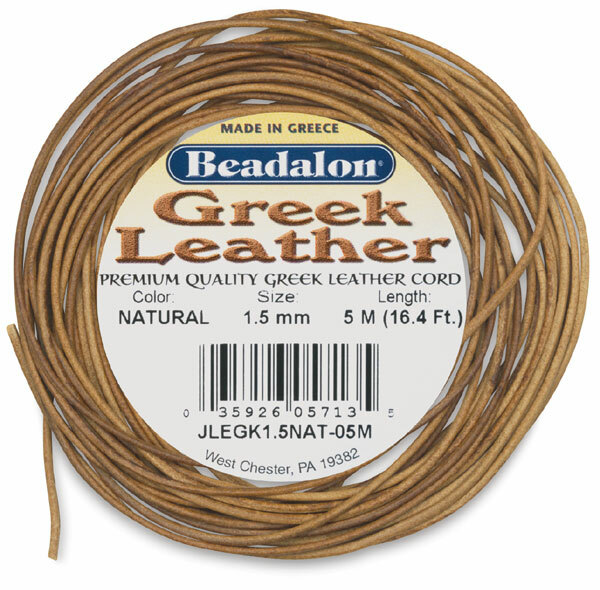 Smooth finish, consistent color, and supple texture make Greek Premium quality leather cord perfect for designer beading applications. 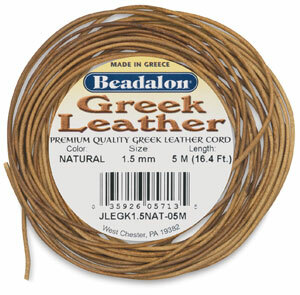 1-1/2 mm (.15 cm) diameter. 5 m (16.4 ft) length.